Nice to see you again. It’s been quite a while, hasn’t it? I’m afraid politics has been a shock to our heroine’s system, stopping me from being able to do many of the things I love. I’ve been in ostrich mode for a little while, though. Keeping my head in the sand (only to some extent) has allowed me to reclaim some of my energy. It’s that time of year when an old writer’s mind turns to NaNoWriMo. As such, it’s only right to blow dust off the keyboard and get ready to give the blog its annual fall cleaning. Oh, I know, most people do spring cleanings. I’ve always done mine in the fall, from household to blog. There’s something magical about Autumn, when the air turns crisp along with the changing leaves that skitter and scuttle about as little eddies of breeze waft through. 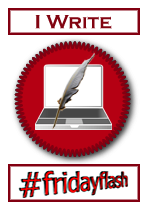 Can you think of any themes in my flash fiction which might lend themselves to a collection? I’m probably going to dive into the uncomfortable position of reading through my blog and trying not to edit everything to shreds as I explore that topic. In the meantime, it’s the mop, bucket, duster, and vacuum for you, Girl Meets Words! It’s almost time for NaNo, my friends. I am the author of a romantic suspense series of novels set mostly in a fantasy world. Love, thrills and fun are packed into each. They’re in the revisions stage now. I hope to self-pub at least the first in 2018. 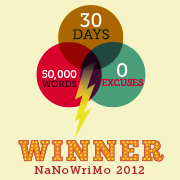 I take part in NaNoWriMo each year as JC_Rosen. Writing whenever possible between obstacles makes up the Spirit of NaNo. Those who do are the real winners, 50k words or not. I’m a big believer in setting your own goals for NaNo. Hit me up so we can talk about that. If you’d like to converse beyond the blog, I can be found on Twitter as @JCRosen. In addition to novels, I write flash fiction (very short stories) in a wide variety of genres. The flash fic is posted on this very blog. Handy, hm? You must have express written permission to reproduce any portion of the content of this website to avoid copyright infringement. All text on Girl Meet Words is the copyrighted property of author JC Rosen unless otherwise credited. Photographs remain the property of their owners, as credited, and are used within the bounds of their Creative Commons licensing unless otherwise credited.